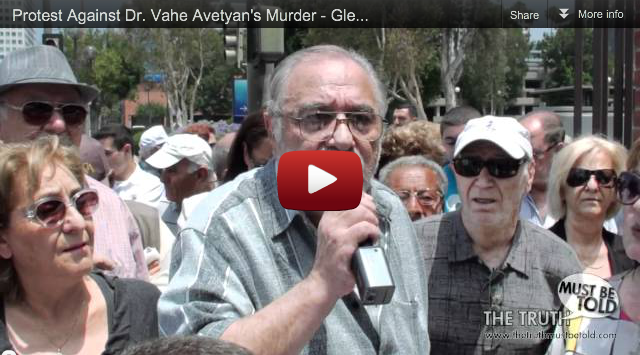 This is a video of a protest against Dr. Vahe Avetyan’s murder committed by the bodyguards of Ruben Hayrapetyan, a.k.a. Nemets Rubo, then a member of the Armenian parliament. The protest is taking place in front of the Consulate General of the Republic of Armenia in Los Angeles, located in Glendale, CA.